Yesterday, while the winds blew from a high of 78° to a near frost overnight, I got out some new beads and supplies I'd bought during October. 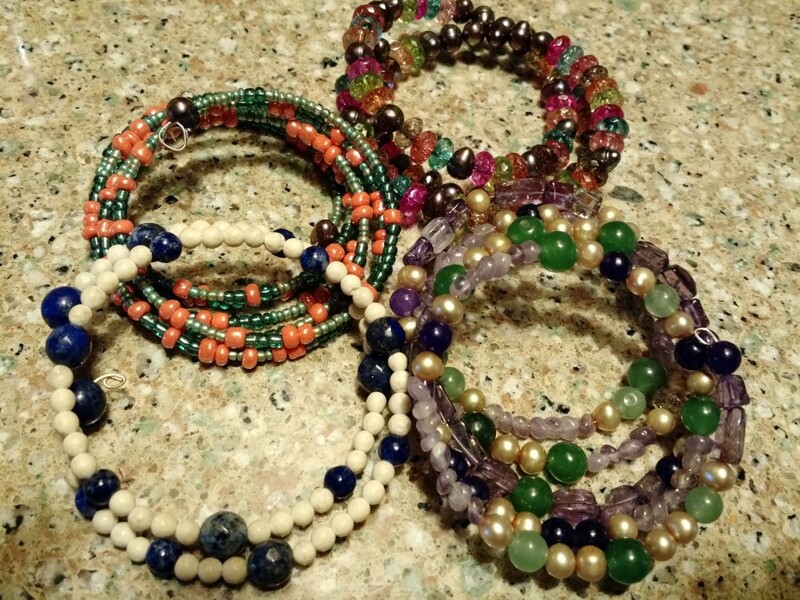 Decided to try something beyond earrings, and I'd seen bead bracelets strung on memory wire to wrap around wrists. The first I tried was with some cheap glass beads, then I did one with lapis beads spaced with white stone beads, moved on the one made with a strand of beads I'd picked up on eBay of unknown pedigree, then one using a variety of stones and pearls.